DJ Control Instinct, MIDI Control Surface for DJ from Hercules. 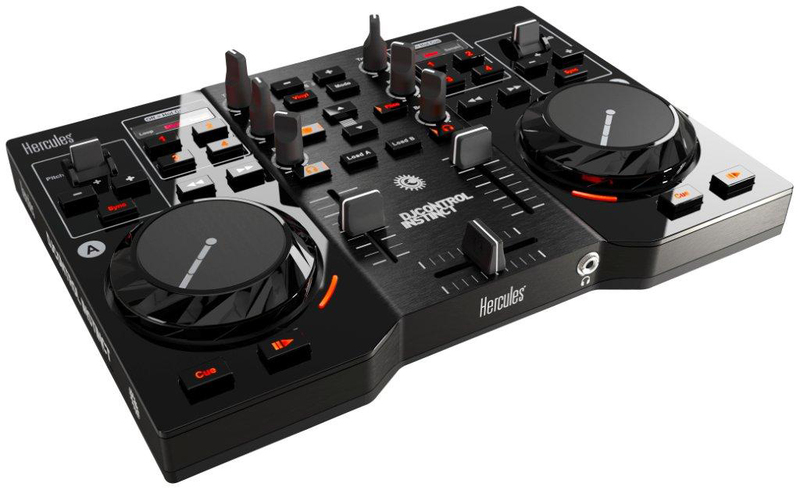 Hercules unveils its new mixing console for computers, the Hercules DJControl Instinct. 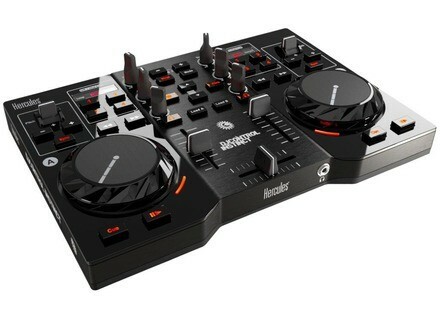 Available end of June 2012, the DJControl Instinct is designed for use with PC or Mac, with a USB port to connect the controller, a pair of amplified speakers, headphones, and audio files on computer. Available at a suggested retail price of $129.99, this new controller has a central mixer with a brushed metal texture, which splits up the controller’s surface in relation to the two lacquered deck areas on either side. The bright orange and red backlighting used for its controls allows users to identify where all of the different elements are. DJControl Instinct is portable, weighing in at about 1 kg, and is 19 x 26.5 cm in size. DJControl Instinct features built-in audio outputs: two RCA outputs, plus one 3.5 mm stereo mini-jack output. An independent output in 3.5 mm stereo mini-jack format also lets users connect their headphones, to preview tracks privately before playing them in their mix. The controller is bundled with the DJUCED DJ software, which is designed to let users adjust the pitch, or use the auto-sync function, to ensure that transitions between tracks stay on time with the tempo. DJControl Instinct lets users customize mixes with effects, loops, samples and Hot Cue points, and by using the Step Sequencer. DJUCED also lets users save their creations as audio files, so that you can share your mixes with friends. For more information, visit www.hercules.com. Native Instruments Traktor Kontrol F1 Native Instruments announces that the Kontrol F1 is now available worldwide. Serato Itch 2.2.1 Update Serato have announced that an Itch 2.2.1 update for the Vestax VCI-380 DJ Controller is available. Maago 4x4 Traktor Controller The Maago 4x4 is a four decks usb/midi DJ controller designed to work with Traktor Pro.